with doctors we guarantee you'll like! Dr Escandon has been practicing medicine since 2002. She is a UTEP graduate and El Paso native. After graduating from UT Houston School of Medicine she completed her residency at the University of Texas San Antonio. She then served the Federal Public Health Service with the Centro del Barrio Clinics in San Antonio. She returned to El Paso in 2007 to establish her own practice. In 2018 she joined myWELLNESS®. Her skill in cosmetic procedures has won her a faithful following and she is one of the only physicians in the region that performs all of her own injections. Her expertise includes adult and pediatric primary care medicine, women's health, preventive care, weight loss and cosmetic procedures. Dr Payne has been practicing medicine since 2002. He formed myWELLNESS® in 2014. He has served as Associate Professor of Internal Medicine at Texas Tech University Health Sciences Center and Assistant Professor of Internal Medicine at the University of California Davis and the Uniformed Services University of the Health Sciences. Until 2014 his entire career was spent teaching doctors to practice medicine. While at the University of California he also worked extensively in the field of "Evidence-based Medicine". This branch of medical science seeks to use the most up-to-date treatments and techniques based on scientific evidence (rather than opinion) to improve health outcomes. His expertise includes adult primary care medicine, hospital medicine, weight loss, preventive care and emergency medicine. Dr Clybourn has been practicing since 2005. He received his medical degree from the prestigious Thomas Jefferson University in Philadelphia. After completing his training at William Beaumont Army Medical Center, he had the honor of serving his country as 31st ADA Brigade Surgeon. He has also served as Chief Hospitalist for Sierra Medical Center. Dr Clybourn’s diagnostic skill and excellent bedside manner has won him accolades from the El Paso community. His expertise includes adult primary care medicine, hospital medicine, severe illness, weight loss and preventive care . We're excited to bring Obalon to El Paso! The FIRST and ONLY swallowable, FDA-approved 3-balloon system for weight loss. Patients with the Obalon Balloon System combined with diet & exercise lost approximately twice as much weight as those with diet & exercise alone. First and only swallowable, lightweight balloon system for weight loss. Why are we still using phones, faxes, mailings, and scanners? Is this 1982? Welcome to 2018, Healthcare – It’s All Digital! 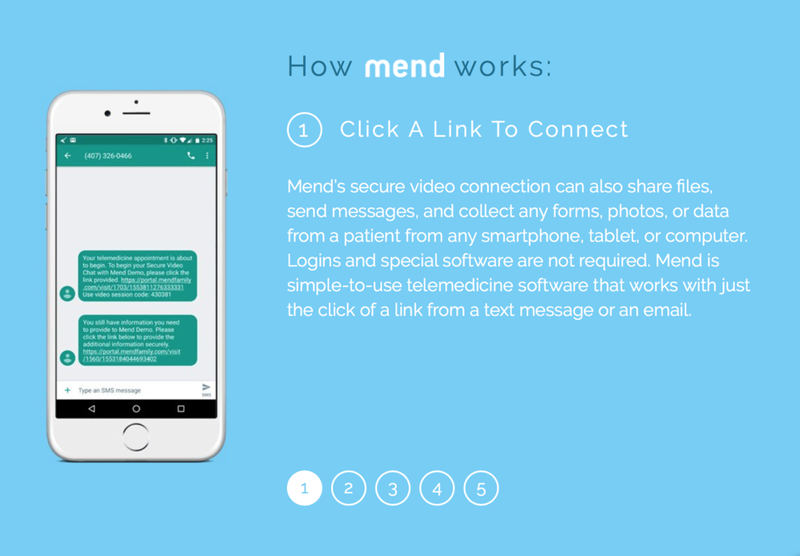 MEND is removing the word "can't" from virtual healthcare and asking "how" we can accomplish goals better and faster. Much of the traditional healthcare system is broken. 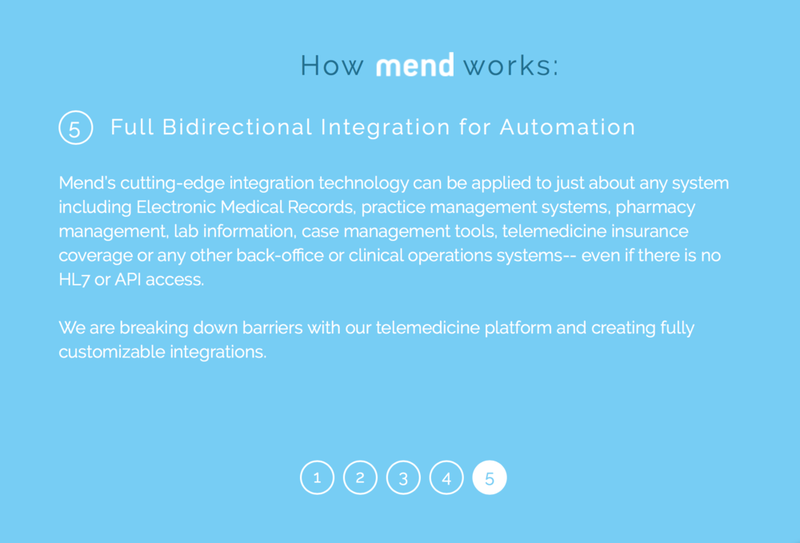 MEND enables patients and providers to connect via smartphone, tablet or computer using the best telemedicine platform on the market. Our state-of-the-art tools include telemedicine solutions that help increase patient access while simultaneously eliminating clipboards, copy machines, fax machines, scanners and endless phone messages. We once had the best healthcare system in the world. But things have changed drastically in the past generation. There is no doubt that the current state of U.S. healthcare is poor. A recent report showed health outcomes in the United States rank about 50th in the world. That means many Americans are receiving healthcare that is 3rd world. During this time reimbursement for doctors has declined while at the same time the cost of practicing has risen dramatically. This has lead to the "assembly line" state of most doctors' offices. Without a high volume of patient visits, most doctors simply cannot afford to stay in business. The result is short rushed visits with long waits. Doctors' office staff are forced to put up walls to prevent access to the doctor. This makes it difficult to have even simple questions answered. Customer service is dead in healthcare. In 2014, Dr Payne formed myWELLNESS® to change this. Instead of the assembly line, myWELLNESS® is a custom shop. Every person has unique issues and needs. We make it our mission to understand this and take the time and extra effort to ensure our patients' healthcare is done right. Our doctors and our staff are committed to the highest quality care available. myWELLNESS® uses a membership system that allows the doctor to spend as much time as it takes to ensure a patient has all of their healthcare needs addressed. No more 8 minute visits. No more waiting hours in the lobby or weeks to get an appointment. Now patients are treated comprehensively at each visit. Urgent issues are guaranteed same-day appointments in most cases. But that is just the beginning. Each patient has 24 hour-a-day / 7 day-per-week access to the doctor via cell phone. Our staff are specially trained to provide individualized service and be genuinely helpful. Each year our Tier 1 patients receive a personalized Tier 1 myWELLNESS® preventive assessment and report. This is the road map to guide the prevention of future illness and ensure optimal management of chronic health issues. Our Tier 2 patients each undergo "Executive Physicals" based on the best practices of places like the Mayo Clinic and Cooper Clinic which include cardiac stress testing, pulmonary function testing and a comprehensive Tier 2 myWELLNESS® Executive Health Report. Other services include in-hospital care, medical weight loss, the Obalon balloon weight loss system, cosmetic procedures, laser hair removal and skin treatments, telemedicine, expert sub-specialist referrals and many others.